Note: Please use the application link below. 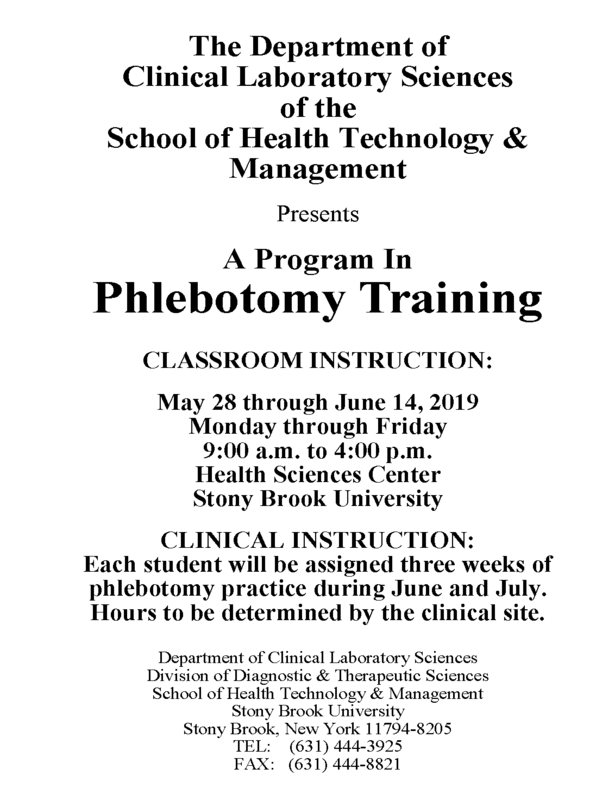 The Phlebotomy Training Program provides students with a working knowledge of blood collection procedures, techniques, specimen requirements, and equipment. This course includes a three week clinical rotation in a hospital setting. This program accreditation is through The American Society for Phlebotomy Technicians (ASPT). Students are eligible to take the national certification examination for phlebotomy. The application is closed. We have reached our quota for 2019 admissions. Applicants are responsible for sending the reference report form to their three references. Click here to download the reference report. Please note: The class runs from May to July each year.